To map — or better — deserialize data coming from your database into a complex custom object Dapper supports a feature named “Custom Handlers”. 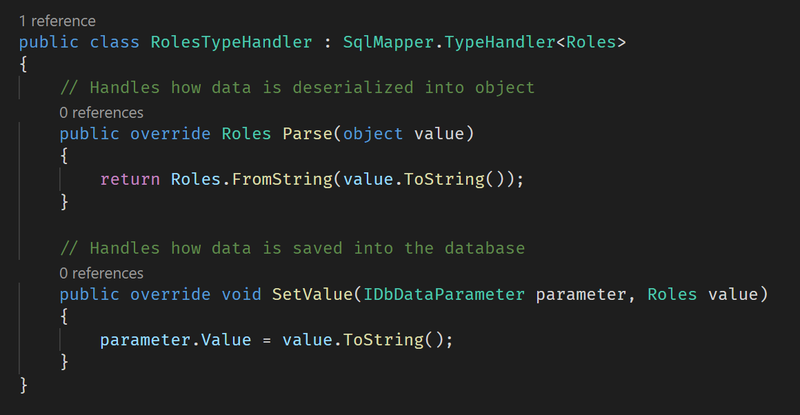 As you already learned in previous posts, with simple object you don’t have to do anything special since Dapper automatically maps database columns to properties with the same name. If you only need to change this mapping logic you can do that using Custom Mappers. If you need to completely control how database data is mapped your object, then you need a Custom Handler. 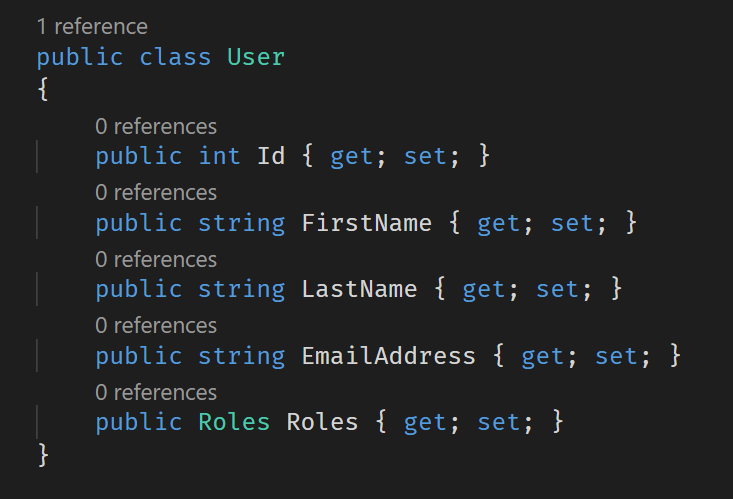 Unhandled Exception: System.Data.DataException: Error parsing column 4 (Roles=Role1, Role2, Role3 — String) — -> System.InvalidCastException: Invalid cast from ‘System.String’ to ‘Dapper.Samples.Advanced.CustomHandling+Roles’. 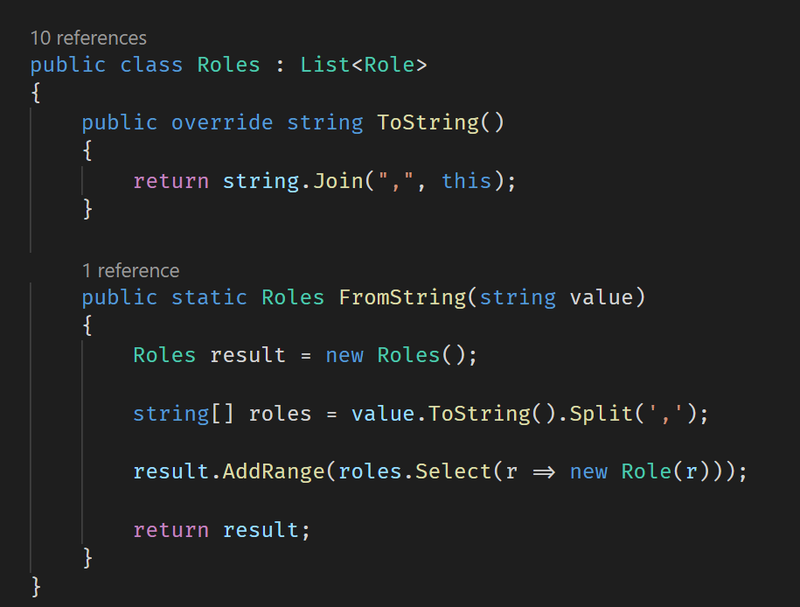 These two errors are the way Dapper tells you that it doesn’t know how to deal with your complex Roles class. How data stored in a table column can be used to deserialize the object? And how that object should be serialized into the database? Unhandled Exception: System.Data.DataException: Error parsing column 3 (Tags=[“Developer”,”Data Guy”] — String) — -> System.InvalidCastException: Invalid cast from ‘System.String’ to ‘Newtonsoft.Json.Linq.JArray’. this happens because SQL Server returns JSON as a string…and since there is no implicit conversion between a String and JArray the above error is thrown. Elegant, easy and clean, isn’t it? Being able to explicitly define how data is serialized and deserialized into the database fix almost all limitations that Dapper may have shown so far. And it opens up interesting scenario, where any object, even the most complex one, can be stored into a relational database in the preferred format (entirely normalized, partially normalized or completely denormalized). Pair this ability with the fact that modern relational database (like SQL Server or PostgreSQL for example) handle JSON natively and with great performances, and you can really do something amazing here. 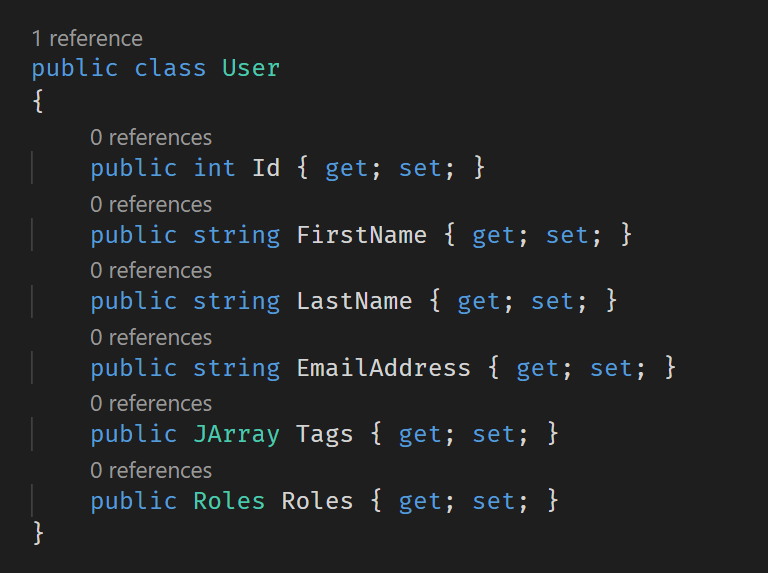 With the acquired knowledge, some lateral thinking, and the JSON support in SQL Server (or your preferred relational database), it is now easy to make Dapper able to deal with 1:N relationships, even without using JArray objects. We’ll discuss this extremely interesting topic in the next post. Stay tuned. Data Geek, with passion for computer programming. Storyteller, Microsoft Data Platform MVP since ‘06, now Microsoft Engineer.